The lining and internal pocket fabrics were also in the scrap bag and are all fabrics that I wouldn’t normally chose but they all went together so well for this project. I enjoyed doing the simple embroidery outlining parts of the fabric design, but the bottom part was closely machine quilted to give it a bit of rigidity. All in all a good project that cost very little. 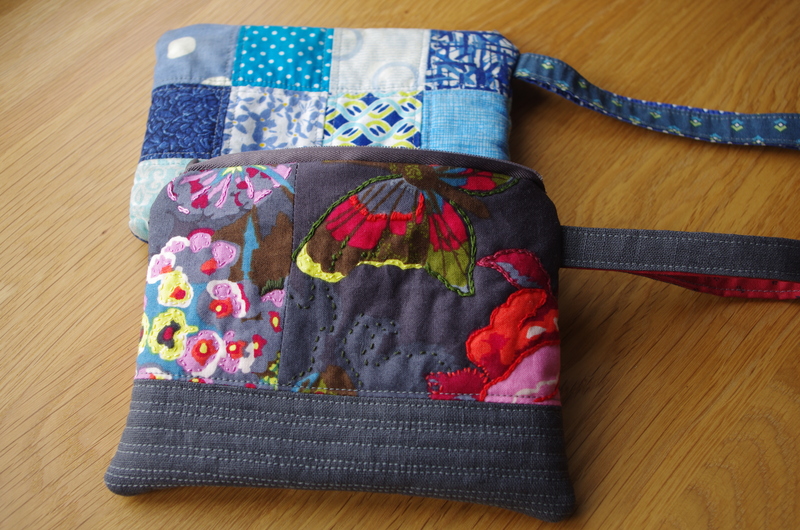 I have had a lot of compliments for the old purse – will the new one get as many? I love the free embroidery additions. Very effective 🙂 Thanks for linking to a great tutorial.